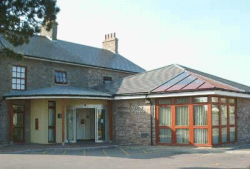 At The Physio Clinic Bristol, we run a satellite service at Frome Valley Medical Centre. We are proud to be able to offer Physiotherapy at the clinic- manual therapy, exercise based treatment and advice. What time is the clinic? Physiotherapy clinics are held every Wednesday Afternoon between 2-6pm. The Clinic is led by David Mercy, a Chartered Physiotherapist with a wealth of clinical experience. David has special interests in all Musckuloskeletal injuries in particularly spinal pain and sport injuries. He uses hands on treatment techniques alongside exercise prescription and advice. Treatment sessions are typically 40 minutes long and cost £40. Payment should be made on the day by cash or cheque. Unfortunately, we do not have card payment facilities available at the surgery at this time.